Given below is the full statement released by the Minister. Today, 8 January 2018, marks the ninth anniversary of one of the most heinous crimes ever committed against Sri Lanka’s constitutionally guaranteed right to freedom of expression. It was nine years ago, today, at 10:45 a.m. that I received the news that Lasantha Wickrematunge, the fearless editor of The Sunday Leader, and my dear friend, had been ambushed and attacked as he drove to work. A few hours later when Lasantha succumbed to his injuries, Sri Lanka lost one of the most enigmatic and courageous journalists that the world had ever known. In the aftermath of this cowardly assassination, the media, legal fraternity, civil society and the political opposition parties joined together as one, demanding justice for Lasantha by way of a thorough and impartial investigation and condemning those who gave aid, comfort and shelter to his killers. For six years, we struggled in vain, until on 8 January 2015, the people of Sri Lanka threw out the Rajapaksa regime and placed their faith in the Unity Government led by President Maithripala Sirisena and Prime Minister Ranil Wickremesinghe. Our moral and civic duty to demand justice for Lasantha has been replaced with the responsibility for delivering that justice, by enabling and ensuring a thorough and impeccably independent police investigation, led by the officers of the Criminal Investigation Department. This investigation has already exposed the intricacy of the measures taken by the previous regime to cover up the murder. From the false cause of death in the original post-mortem report to the irregular transfer of the investigation away from the CID, and the death of a key witness-turned-suspect in custody, it is clear that no stone was left unturned. Despite these and whatever obstacles come before us, this Government is committed to providing the CID and the Attorney General’s Department with whatever resources and support they require to indict and convict those who committed, aided and instigated Lasantha’s murder. Failure is unacceptable. 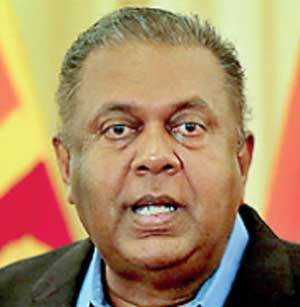 This is a debt of honour that we owe not just to Lasantha and his family, but also to the citizens of Sri Lanka, who have been deprived of one of the foremost champions of their democracy. Today, I call upon all media institutions, the legal fraternity, private sector and civil society organisations, once again to unite with us in rendering all possible aid to the police in this investigation, by seeking out and volunteering relevant information, identifying and safeguarding possible witnesses and responding to any requests promptly and thoroughly. Only by the conviction in a court of law of those responsible for this insoluble bloodstain in our national history can we honour Lasantha’s sacrifice.